Your cat will feel strong and energized after playing with the Crinkle DumbBell. Your cat will experience one of the best and grueling work outs of their nine lives. The Crinkle DumbBell is made of acrylic fibers and has a soft and cozy feeling on each end. 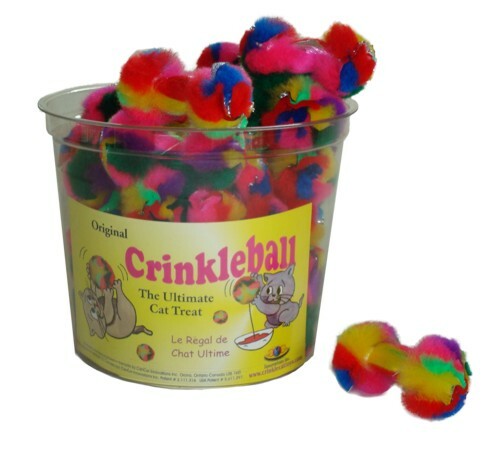 The crinkle sound will drive your cat crazy and the catnip scent will bring them back for more. Get your Crinkle DumbBell as soon as you can so your cat can start the DumbBell work out plan.